A healthy natural snack that will make you feel good and is completely guilt free! Yorkshire based Healthy snacking company manufacturing products for both the adults and children. Natural ingredients that have been selected to taste scrumptious and contain nothing artificial. 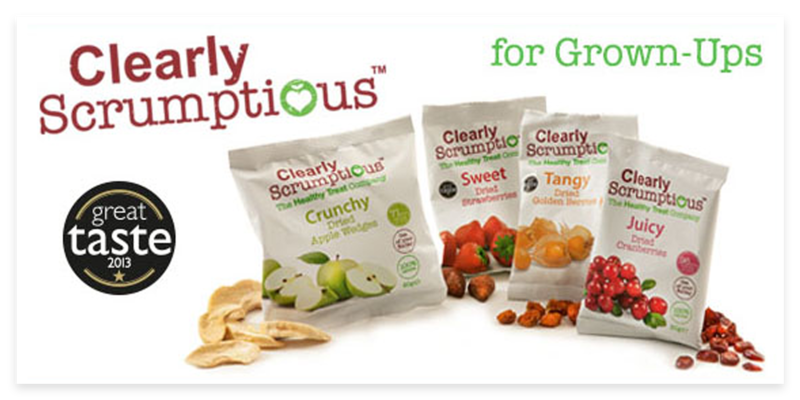 Clearly Scrumptious picture: Clearly Scrumptious fruit snacks for adults which are healthy and contain no artificial ingredients. Strawberries, cranberries, apples and golden berries gluten free grab and go packets perfect for snacking on the go. 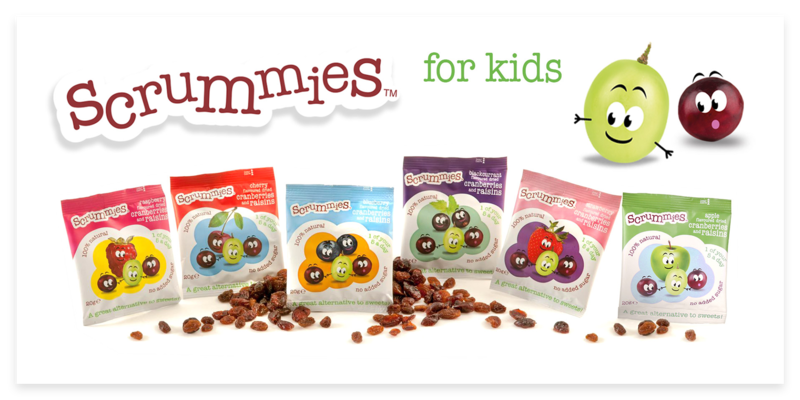 Scrummies range: Scrummies are kids fruit healthy snacks made from cranberries and raisins. School compliant and free from gluten, dairy and are naturally vegan.